Stephen Graham had moved to a flat in 60 Frith Street (left) with his wife Rosa in 1912. He lived there until his death in 1975. The 1920s were a time of personal and professional flux for Stephen. In the first part of the decade he published a novel, Under-London, based on his own childhood experiences in the outer suburbs. He also published a series of sketches called London Nights which expressed his sense of the poetry of the city, particularly at night, and in the early morning in places like Smithfield Market. Stephen's marriage was however under severe strain, falling apart in the mid 1920s, although he continued to write novels such as Midsummer Music and one of his best-known works The Gentle Art of Tramping. There was something escapist about both works. Midsummer Music described the love affair of a middle-aged academic who visited the Dalmatian Coast. The Gentle Art of Tramping looked back to Stephen's earlier days on the road, providing readers both with practical hints about kit and route-finding, as well as a sense of escapism from the cares of everyday life. Stephen also continued to carry out a good deal of journalism, which was lucrative, contributing to numerous papers and visiting eastern Europe in 1926 to write a series of articles for The Times. 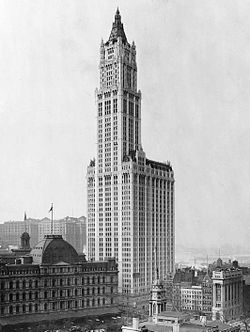 Stephen visited New York four times in the second half of the 1920s. He went there in part to escape his increasingly unhappy private life. Rosa for her part began to work closely with Dmitrije Mitrinovic, who formed the Adler Society, which was committed to identifying new ways of understanding human nature and human society. Stephen had by now lost much of his earlier interest in esoteric philosophy. He found an escape in the nightlife of New York, visiting speakeasies and nightclubs, and wandering the Bowery watching the human flotsam wandering the streets. Whilst he had once sought to lose himself in the vast wilderness of Russia he now seemed to want to lose himself amongst the millions of New Yorkers. He published a series of sketches for US publications which appeared in book form as New York Nights. Stephen knew that he was going through some form of metamorphosis. His old ideas and love of rural landscapes no longer provided him with the sense of consolation they once had. 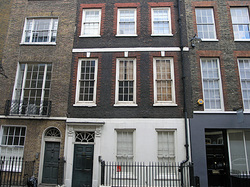 When in London he often visited the Gargoyle Club (which brought together the worlds of High Society and Literature). Rosa was bewildered by the change in her husband. By the late 1920s they had drifted apart although they remained married until Rosa's death in 1956. Graham had lost his intellectual and emotional bearings as well as his marriage.